The Standing Rock Nation’s Tribal Council held an emergency meeting Friday and voted unanimously to close all of the water protector camps within 30 days, including the main Oceti Sakowin camp, according to an article in Indian County Today. 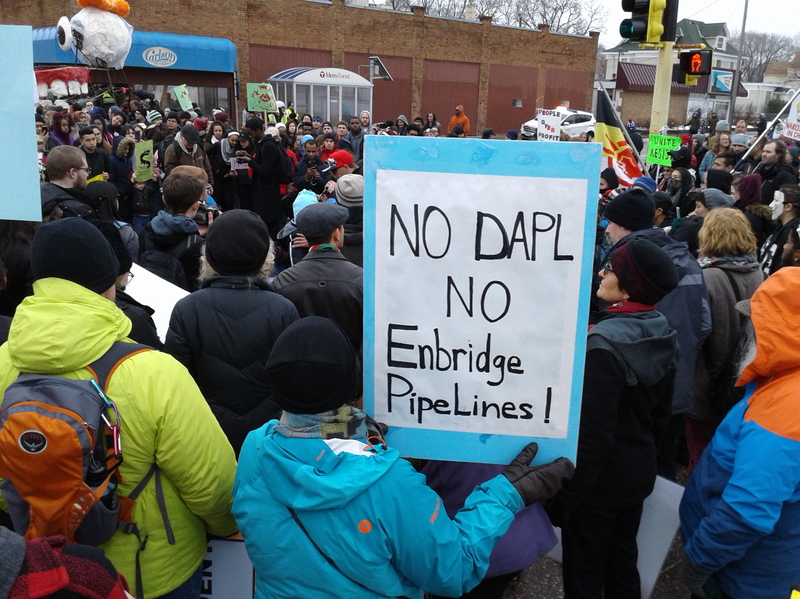 Hundreds joined the Black Snake Resistance Rally on Friday, organized to show opposition to the Dakota Access Pipeline, and pipeline expansion in general. The group marched to City Hall, joining others from the Resist From Day One event. 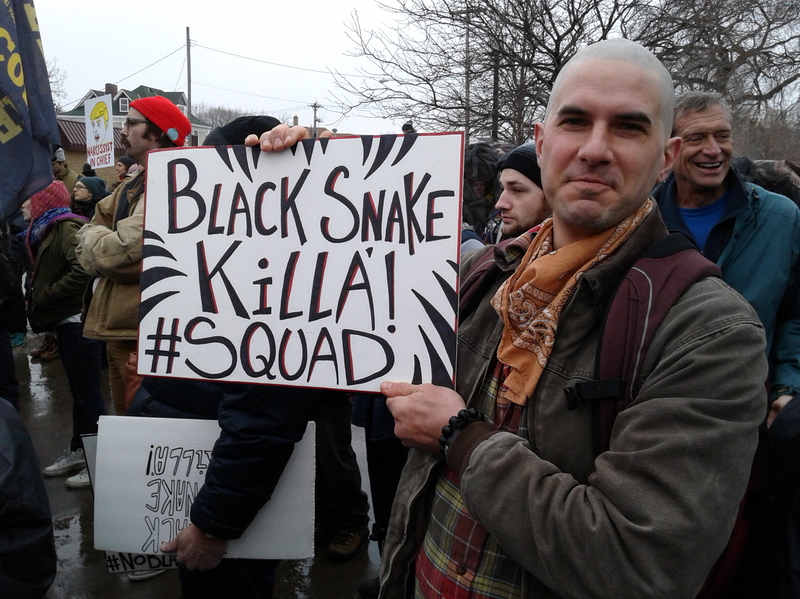 Here are photos from Black Snake Resistance rally and march. 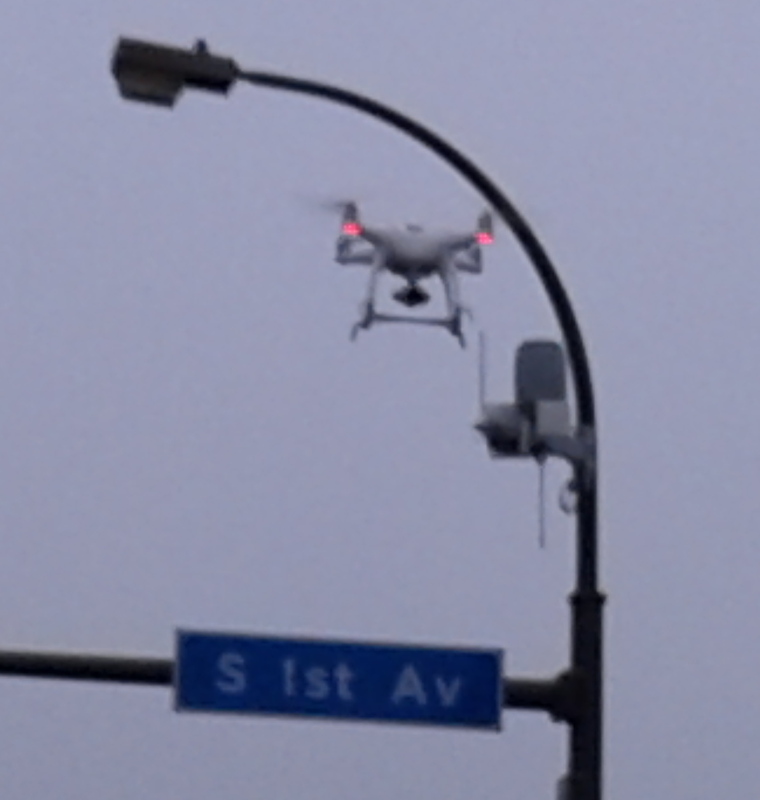 The rally began at Chicago and Franklin. The march ended up at City Hall, merging with other protests. 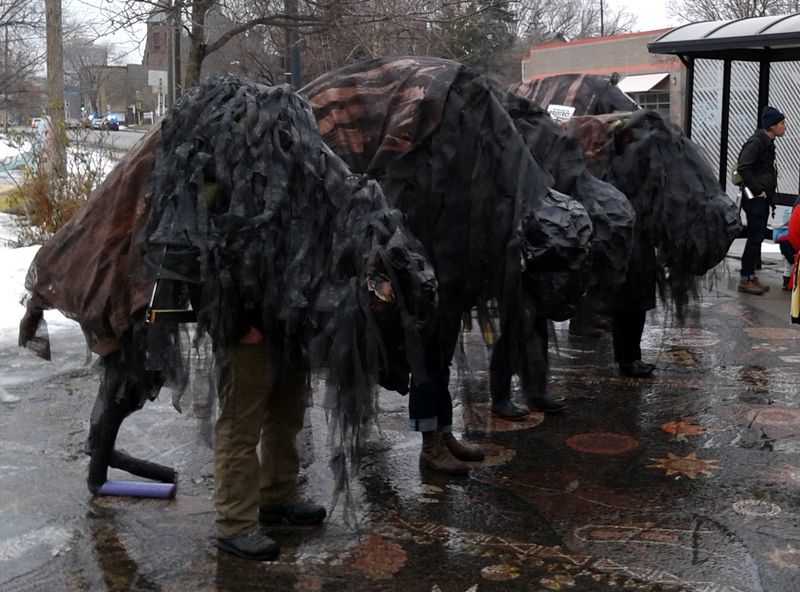 The buffalo puppets are becoming regulars at the events …. 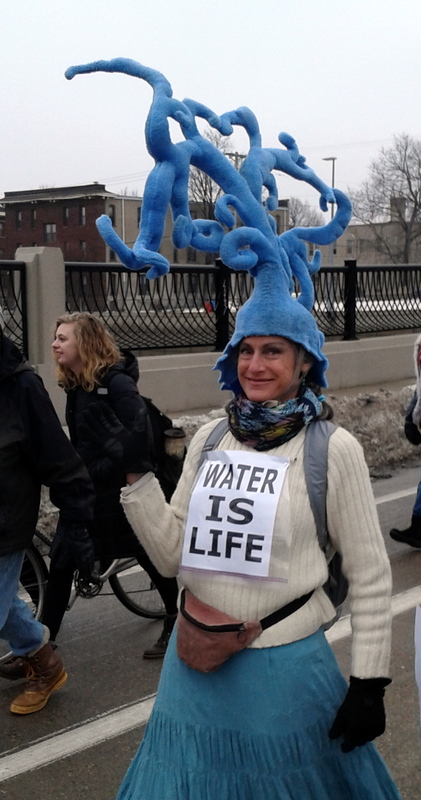 And still others had funky hats.